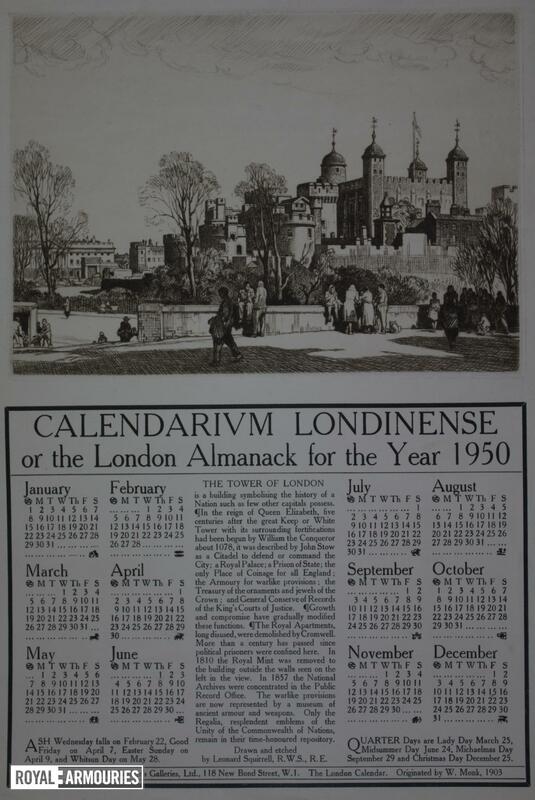 Calendar for the year 1950, decorated with a etching of the Tower of London from Tower Hill. 'Published by Walker's Galleries Ltd., New Bond St. W.1.' 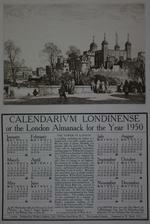 'The London Calendar. Originated by W. Monk, 1903'. Includes a brief history of the Tower.